Sorrento is much easier than Positano and Amalfi. To get there, we got the train from Roma Termini to Napoli Centrale which was easy. We pre-booked tickets online with Train Italia and this train was impressive. It was modern, sleek, had air-con and took us just over an hour to get from Rome to Naples. 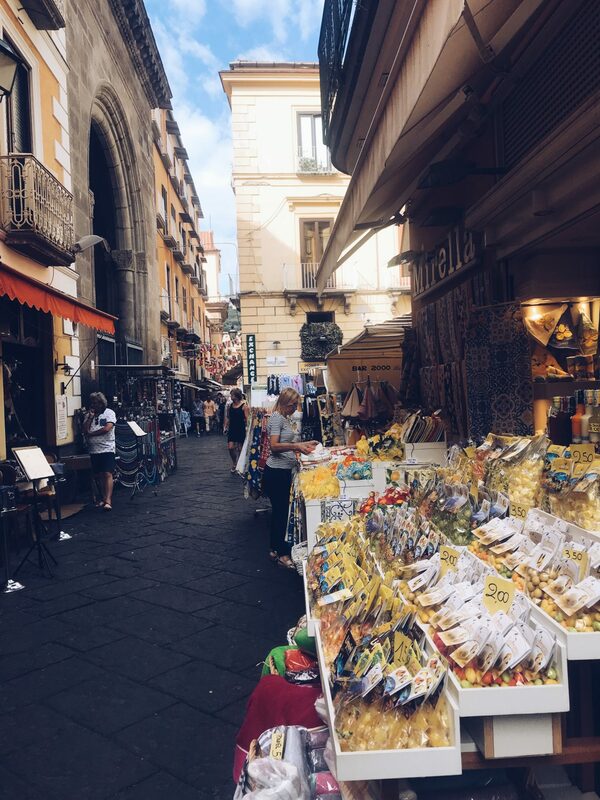 The nearest airport is Naples and getting from Naples to Sorrento is easy with the Circumvesuviana train line which runs from Napoli Garibaldi (the lower level platforms at Napoli Centrale) to Sorrento. It costs 3.90€ for a single ticket, runs around every half hour and the train takes around an hour and ten minutes. An express train runs several times a day as well which takes 50 minutes but costs more for a ticket. I was terrified for taking this train as all of the reviews online are terrifying and it is supposed to be rife for pickpocketing. I found it not to be as bad as I had perceived – there are a few shifty lookig people getting on and off – but just make sure you keep your bag on you, valuables stashed away and nothing in your pockets. I also wouldn’t like to take the train after dark but it felt completely fine during the day. The Circumvesuviana can be used for getting you to Naples and to the archaeological sites in the area such as Pompei at Pompei Scavi, Herculaneum at Ercolano, Oplontis at Torre Annunziata and Villa San Marco at Castellammare di Stabia. To reach the Amalfi Coast from Sorrento you can hop on the SITA bus from outside Sorrento train station. I only went as far as Positano which cost me 2€ there and 2.60€ back but to buy a return in Sorrento costs 4€. It took around an hour and it is worst road for those who get travel sick. They pack the buses full and you will most likely be standing in the aisle of the coach. On this same bus route you can get to Amalfi with connections in Amalfi for getting to Ravello. 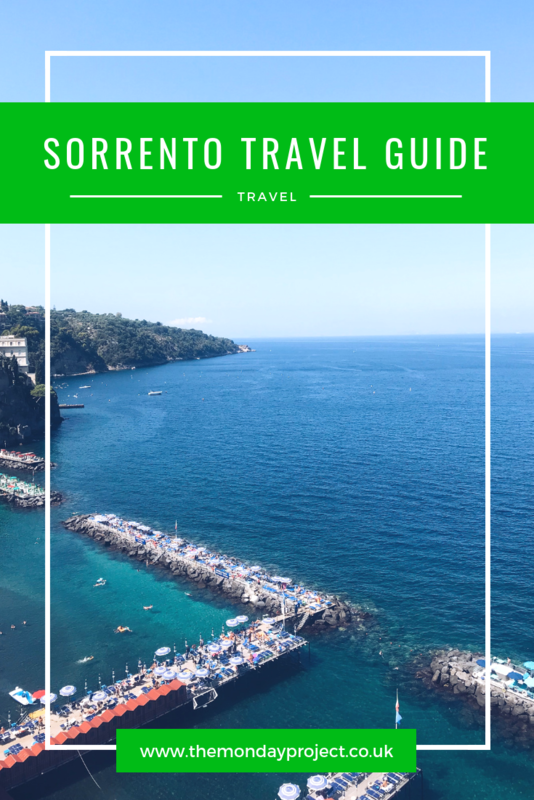 There are also many ferries in the area that connect Amalfi and Positano with Sorrento as well as all three locations with the island of Capri. Ferries to Capri and Sorrento can also be caught in Naples. I was in Sorrento for a week on my own for a week where I stayed at Florida Hotel & Hostel after being in a different hotel with my mum. Luckily Florida Hostel was just down the road from my previous one and it was on a much quieter road. It was tucked away off the road and I loved it. It is more of a hotel than a hostel, with a few dormitory rooms in the lowest level. I stayed in a female only dorm of 5 and it was great. It had big lockers which could fit your whole bag in, an en-suite bathroom and a small terrace for drying towels and other clothing. 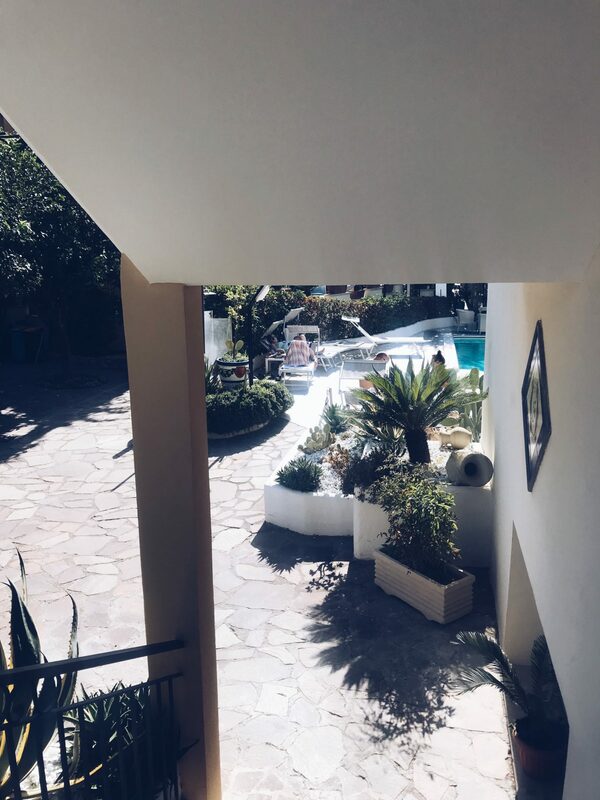 I paid 190€ for a week which was a great price for the area and thanks to the hostel being part of the hotel, you were allowed to use the pool for free. I also ate in the hotel restaurant a couple of times in the evening where the food was delicious and very well-priced. It did lack some of the normal hostel amenities such as a kitchen facility or common area to socialise but all the people I met in my room were super friendly. 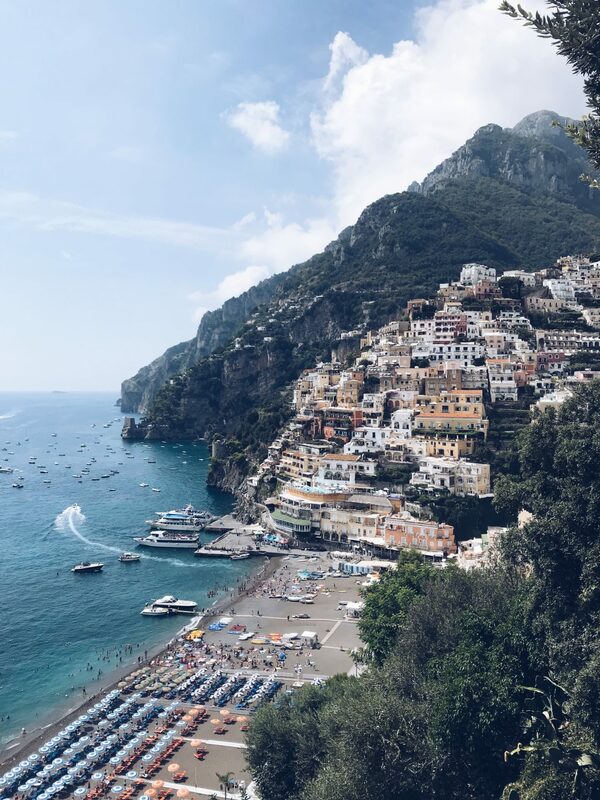 I hung out with a few different people during the week for dinner and on the day trip to Positano. 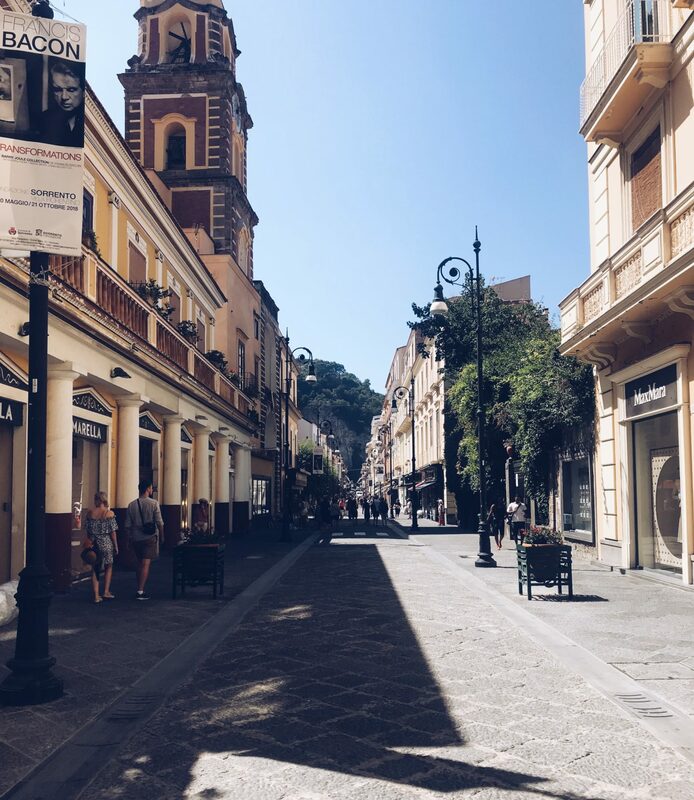 Sorrento for me was the perfect mix of business with relaxation. I managed to hit lots of the archaeological sites within the area, explored a bit of the Amalfi Coast and saw some of Naples. Its location means you are easily within an hour of both and there are public transport links by bus and train. Mount Vesuvius dominates the skyline of the Napoli area and you can easily see it towering into the sky. The eruption in 79 AD which devastated the area has left behind several Roman settlements, preserved in time. Mum and I did Pompei and Herculaneum on our first full day together which happened to be the first Sunday of the month as in Italy you get free entry to pretty much every museum/archaeological site. We expected it to be so much busier but faced barely any queues at the ticket points at both sites. Even if you aren’t that interested in archaeology or classical history, I’d still really recommend seeing both as it is just mind-blowing. Vesuvius was a huge natural disaster and its effect can be seen all over the Campania area. I just found it mind-blowing that the whole city of Pompei was just wiped clear and buried under ash. Both can be reached by the Circumvesuviana line, at the stations of Pompei and Ercolano respectively. The whole day took us around 8 hours factoring in transport time. 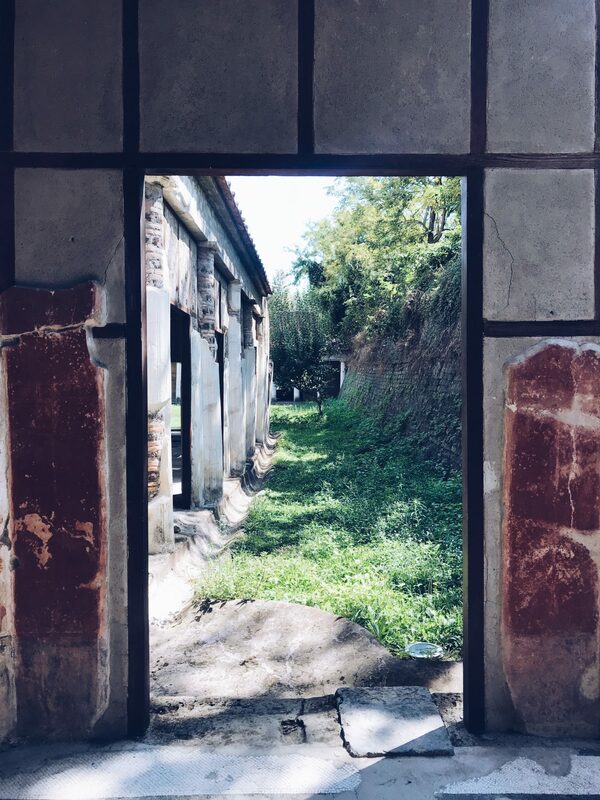 Other historical sites in the area to visit if you love doing things like that are the Villa Poppaea at Oplontis, thought to be the residence of Nero’s wife Poppaea. It was beautiful to see and so quiet compared to Pompei and Herculaneum. Entry here cost 4€ for the 18-25 ticket and I spent about an hour here. 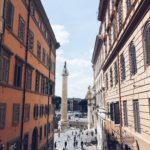 It’s easily accessible from the Torre Annunziata. I also visited the Villa San Marco at Castellammarre di Stabia which is a similar ruin to the Villa Poppaea. It is a little further out of the town and requires a tweny minute walk or so. It is not well sign-posted and Google Maps wasn’t great (kind of abandons you on the road telling you are there when you most definitely aren’t) but it is basically down a track on the right-hand side of the road. It is free entry and you sign into the guest book. There is another villa called Villa Arianna further down the road but I was hot and tired and didn’t bother walking to it. There are only so many Roman villas a girl can see. 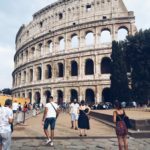 Visiting Naples for the day was also something I fitted in to my itinerary. 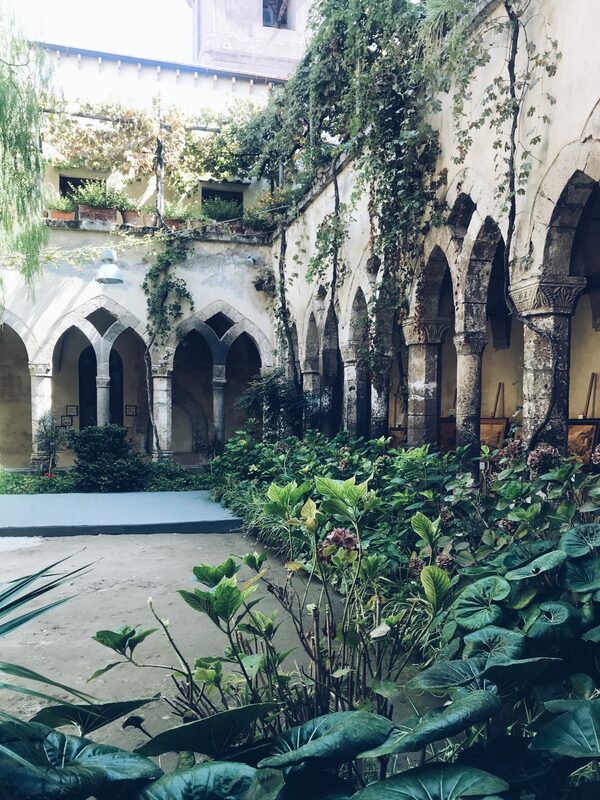 I strongly disliked Naples pretty much from the moment I arrived (although the airport is pretty lovely and definitely my favourite part) but I battled on and explored. My main focus of the visit was the Naples Archaeological Museum as I had things to see there for my project. An 18-25 ticket was 6€ and it took me about two hours to explore the museum. Whilst in Naples I also visited the Napoli Duomo which was beautiful and free entry. I always tend to visit abbeys and cathedrals when I travel, no idea why, it is just something I tend to do. The one thing I did in Naples that I did really enjoy was the Napoli Sotterranea tour which cost me 10€. It was the perfect way to hide from the hot midday sun. It takes around two hours and it is so interesting. A guide leads you through a Greek-Roman Aquaeduct deep underneath Naples and then takes you into the remains of a Roman amphitheatre underneath an ordinary ground floor Naples apartment. On a non-archaeological point I went to Positano. 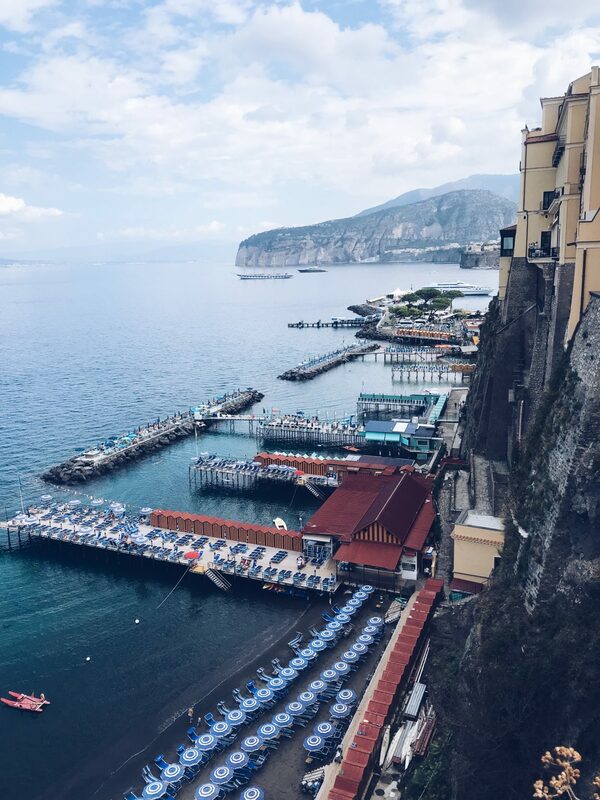 The Amalfi Coast is ridiculously expensive and I’d love to return to Sorrento, use it as a base and head out to see more of the Amalfi Coast and Capri. Positano was just beautiful and just as picture perfect as every postcard I’d seen. It is tailored to tourists however with expensive stores and restaurants. Expect a lot of walking in Positano as it is all steps and tiny alleys. It was super busy and the beach was packed but it was just gorgeous to swim in beautiful blue sea. Getting the bus from Sorrento is simple with the SITA bus although the road is horrific and we had to wait about an hour for the bus as the first one that came was too full and we were too far back in the queue to get on. I also did lots and lots of mooching around beautiful Sorrento. 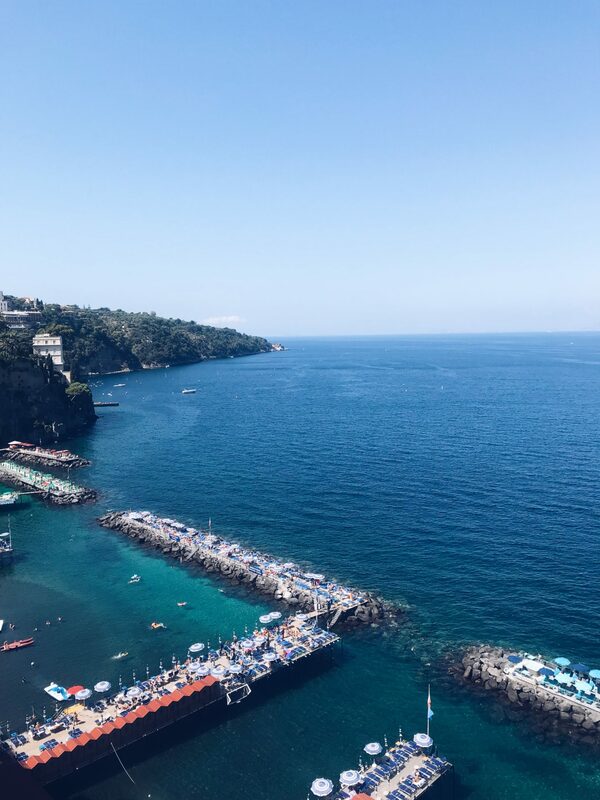 It is a simply gorgeous town with friendly people, stunning views and plenty of gorgeous views out across the bay of Naples. 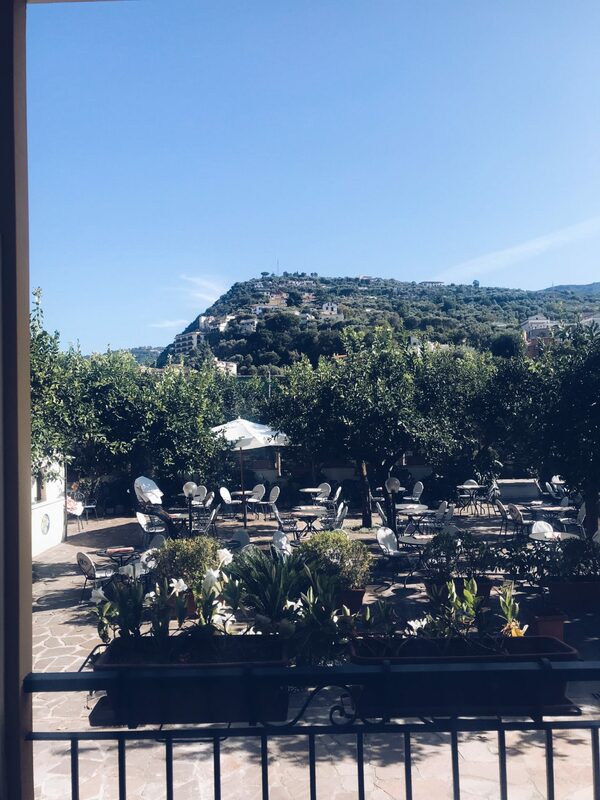 Sorrento is packed with adorable shops in the Old Town and whilst I’m awful at remembering where I ate on holiday, two recommendations I do have are Il Convivio and a restaurant/café I think was called Little Things. Il Convivio is so authentically Italian and is hidden of the Piazza Tazzo. 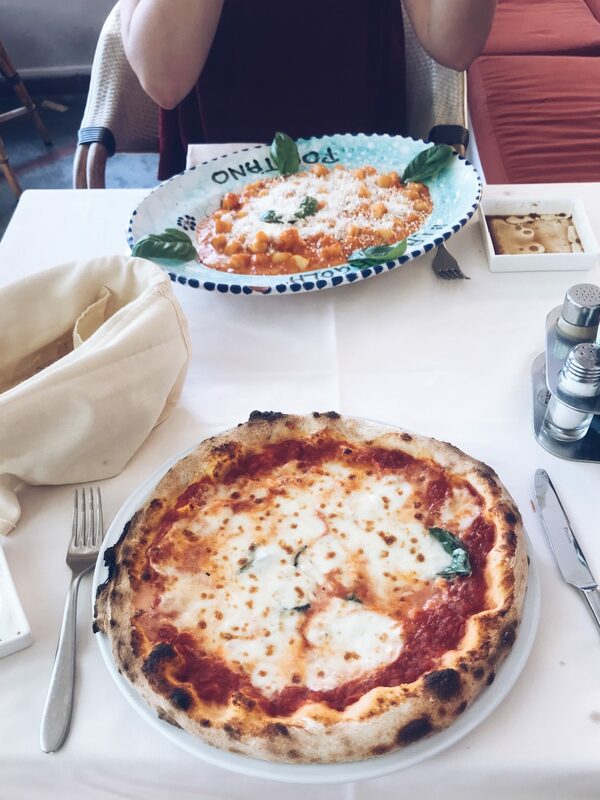 I had the most delicious pasta and pizza there where the staff made you feel so welcome and were so attentive. Little Things was in the midst of the Old Town and is a fabulous lunch spot. 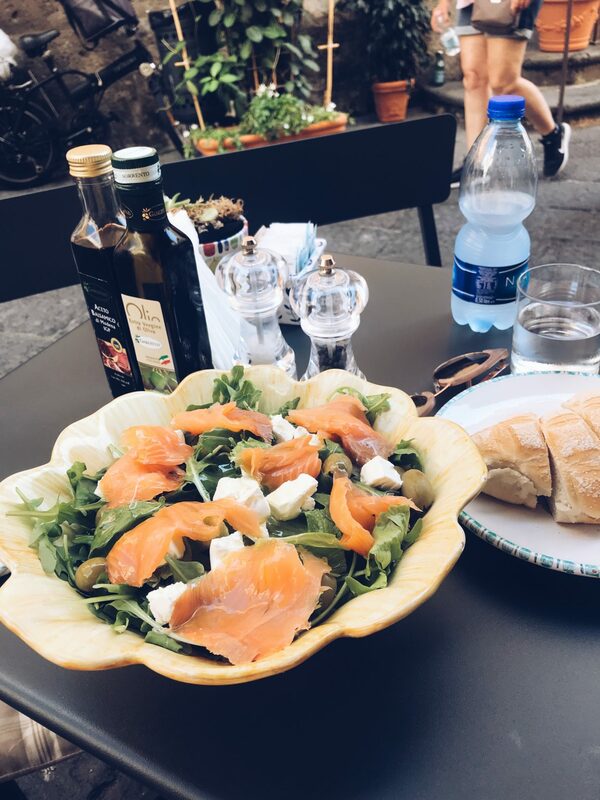 I had a dreamy salad, bruschetta and drinks there on the three times I visited and I am dying to go back. One of my most favourite things I did in Sorrento was a cooking class. It was a two and a half hour long class held in Meta, which is a few stops on the Circumvesuviana from Meta, and it was brilliant. It cost around £25 and I found it on Airbnb Experiences. I felt very Italian as I made gnocchi Sorrento style and tiramisu with four other students as we were taught by Gio, who was a fabulous teacher. 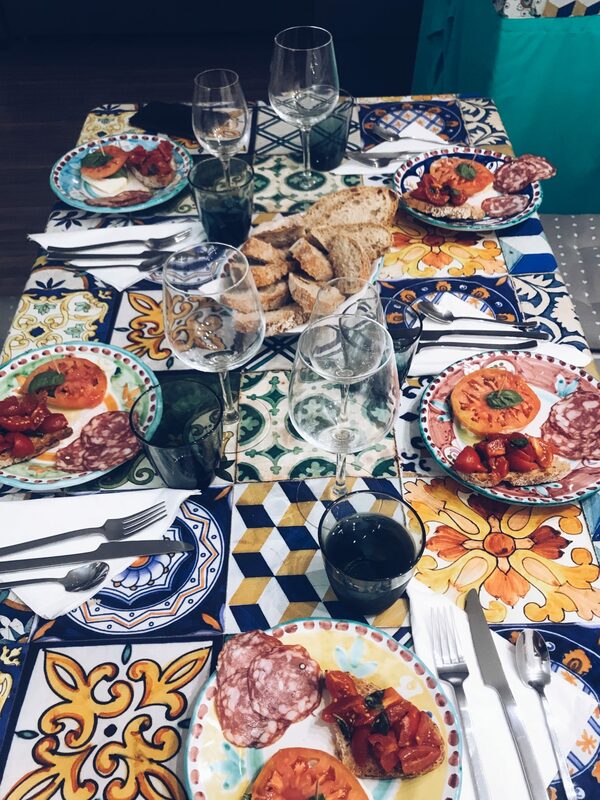 It was a great experience of sharing a meal, the delicious antipasti course Gio had prepared for us to eat before we began and having some wine and limoncello.